Real Training is led by experienced occupational and educational psychologists who are dedicated to delivering services of the highest possible quality. All are registered with the Health and Care Professions Council and also have Chartered Psychologist status with the British Psychological Society. 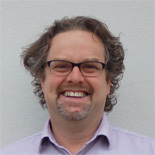 Angus McDonald is a chartered psychologist with over 15 years experience of working with psychometric and other forms of assessment in organisational, educational and research contexts, and is the author of numerous published tests and questionnaires. He is committed to promoting excellence and best practice in the use of psychometric assessments, being a member of the British Psychological Society’s Steering Committee on Test Standards and the Senior Verifier for the Society’s Level A qualification in Occupational Testing. An experienced project manager, consultant and trainer, Angus believes passionately in the ethical use of assessment to enhance individual and organisational effectiveness. 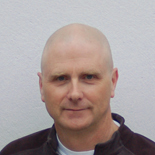 Mark Turner has been a chartered educational psychologist for 14 years. He has driven the e-learning consultancy work. He continues to research and apply best pedagogical practice to everything Real Training does. He is currently completing his doctorate in e-learning and continues to lecture at the University of East London. He also maintains his skills as an educational psychologist via consultancy work. 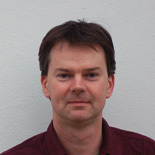 Alan Macgregor has been a chartered educational psychologist for 18 years. He was Principal Educational Psychologist in Kent from 1997 to 2002 leading a team of over 50 psychologists, subsequently set up his own consultancy and then in 2004 established Real Training. Alan delivers a british Psychological Society Level A course thoughout the UK and internationally. Alan is the British Psychological Society Senior Verifier for Educational Level A. Alan continues to act as occupational consultant to the University of Sussex and undertakes some private assessment work to keep his skills up to date. Alan sits on the board of trustees of “SEI”, an educational charity which promotes creativity and innovation. 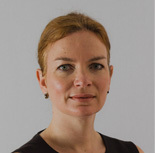 Siobhan Mellor has been a chartered educational psychologist for 10 years. She was the lead tutor for Real Training from 2005 to 2007 and now leads the expert witness service Real Psychology. She also continues to tutor and teach on in-house courses and works part-time for Kent County Council to maintain her skills as an educational psychologist. She has also worked with a number of media companies.